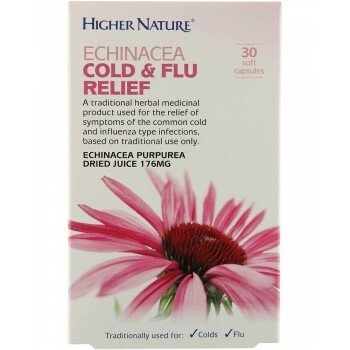 176mg Echinacea dried juice (20-28:1) (equivalent to up to 4928mg Echinacea). Take 1 or 2 capsules daily (adults, elderly and children over 12 years) at the first signs of flu or cold. *According to information supplied by the THR Licence Holder.